For an incredible experience in the UK, many students choose to spend several months studying abroad for an unforgettable way of exploring a new location and seeking out adventure. Those who visit the location can enjoy trying different types of cuisine, traveling to nearby countries, and learning about the history of the location. To enjoy a short-term study abroad trip, there are a few ways to afford the cost and save money while you’re there. Money saving DIY tip #1 is tuition. During the school year your home university has exchange partnerships, but nearly all of them do not apply over summer. Your financial aid package and loans generally do not apply over summer either, but don’t despair, many foreign universities offer what is commonly called international summer schools on their campus; some will even operate multiple themed programs and a few will even offer them in other cities. The University of Westminster offers a popular one in London; you can see others by using Abroad101’s advanced study abroad search and selecting, program length = summer and provider = Direct Enrollment, or typing “International Summer School” in the search box at the top menu of Abroad101. Although it may be a dream to spend your time dining over Cornish pastries or fish and chips each day, it’s important to limit your time at local cafes to save money. Opt for visiting a nearby grocery store each week so you can cook your own food. Instead of feeling deprived by avoiding local restaurants, you can allow yourself to dine out every few days so you can still enjoy the culture and meet a few locals in the city. Meals are also a great way to socialize and you might want to get 3 or 4 people in a supper club where each week one of the members cooks for the group and acts as host. It’s a nice way to deepen friendships, save money and have a nice meal. One of the most expensive parts of studying abroad is the cost of room and board. Instead of spending a significant portion of your budget on booking a hotel or apartment or living on the campus, opt for staying with a host family. It will allow you to learn more about the culture, have a tour guide in the city, and learn more about the country’s customs. They may also cook for you. There are networks of host family placement services, your host university may have some recommendations or a referral service. Although it may feel like an inconvenience to rely on public transportation while traveling to and from school each day in the UK, it will allow you to have more room in your budget for other costs. Purchase a pass for the tube and consider using a bike to get around for areas that are of a short distance. Sometimes the overland rail system may be cheaper than the underground so check out both options and ask about student passes, again through the international office of your host university. To maintain communication with friends and family who are back home during your time abroad, rely on Skype to have face-to-face interaction for a free way of communicating. You can also purchase a calling card for a cheaper way of making phone calls instead of relying on your cell phone. One of the most common ways to afford living abroad for a short period of time is to find a job where you can work an average of 20 hours a week. The fact that you speak English will be a plus so think about being a tutor or instructor to non-English speakers, even at nearby schools. Many education positions are available through Randstad Education where you can assist with tutoring or teaching. Hopefully you’ll cast aside your fears of cost and find a way to the UK this summer. There’s never been a better time to do this! Today we have a very special guest on our blog. 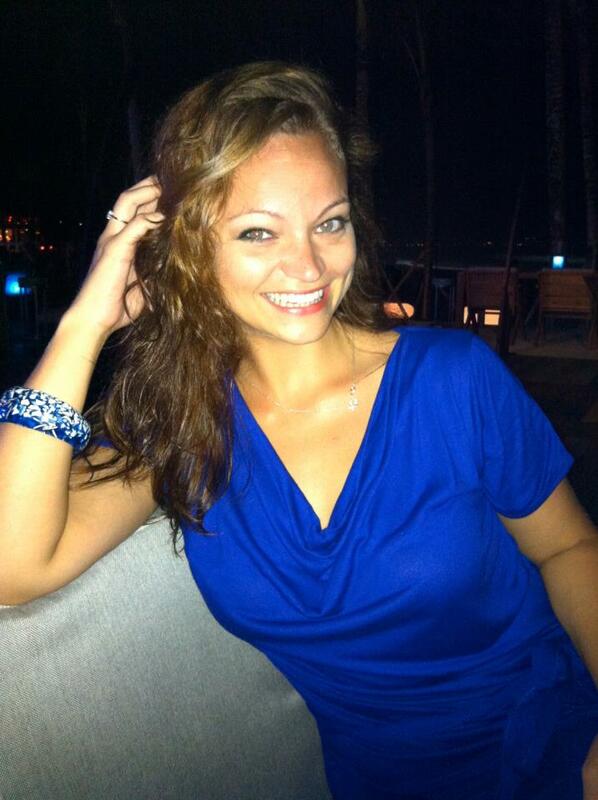 We are honored to feature the lovely and VERY well travelled Angie Orth, who studied abroad in Paris back in 2003. Today Angie has a successful travel blog that documents her jaunts through the slums in Kenya to gelato in Rome and everything in between. We asked Angie if she could reflect a bit on her own study abroad experience and how it’s shaped who she is today. Here’s what she had to say. Studying abroad this summer? 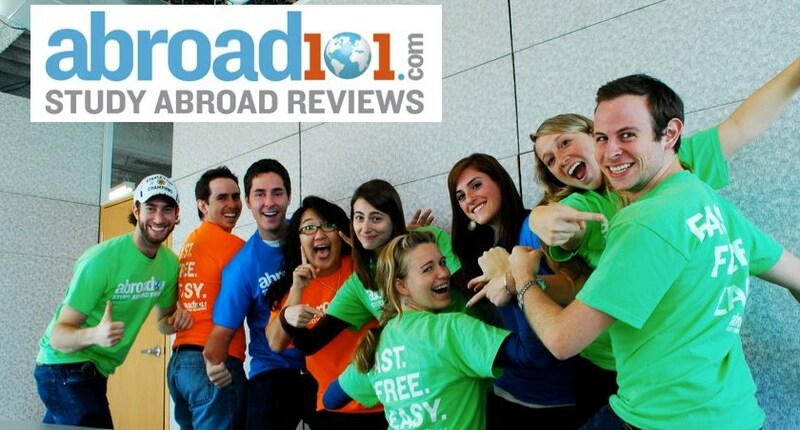 Become an Abroad101 global ambassador! We're so happy in our neon t-shirts!